through our simple referral program. Do You Keep Your Business Options Open? Ask About Our Unique Business Opportunity. Sun motor tester collector's item. Sun Automotive Engine Analyzer & Diagnostic Tester, with oscilloscope, volt meter, dwell meter, engine shorting switches for power balance tests on all cylinders, vacuum gauge, and timing light. Tests: electronic ignition systems, ignition contact point systems, cylinder power balance, spark plug firing voltage (and firing voltage under load), dwell variation, voltage drops, circuit voltages, cranking coil output, charging system operating voltage, maximum coil output, secondary circuit insulation, secondary coil and condenser, measures idle speed & dwell. Overhead boom contains vacuum hose and timing light; RPM, volts/ohms and dwell leads which hook directly onto the engine and battery. Cabinet contains large workspace area. Bottom cabinet doors open to store additional equipment and service manuals. Front casters have brake locks. All leads included. Approximate size: 6' 4" tall x 4' wide x 2' 3" deep. If you're into vintage vehicles & equipment, this Sun engine analyzer would make a nice addition to your garage or classic car collection. Includes original service manual. Or FREE + s&h through our product referral program. Contact by email for additional information. Please specify items and include your shipping address. Payment by United States Postal Service Money Order only, available at any U.S. Post Office. Other types of money orders and personal checks are not accepted. Domestic shipping within the United States only. Verify compatibility issues prior to purchase. All items including hardware, software & electronics are non-refundable. Functionality and safety have not been verified and can not be guaranteed. ComputerTek is not responsible for injury, damages, loss of business, caused directly or indirectly by the use or misuse of any services, items, products and the like. Tag sale items are pre-owned and sold as-is. Performance set of Classic Cragar type Chrome Plated Mag Wheels with 5 spokes and Chrome center cap. CalChrome wheels include a set of McGard anti-theft Chrome Plated wheel locks with Chrome Plated lug nuts & lug nut key. Will throw in FREE Uniroyal steel belted radial tires with raised white lettering, Size: P205/70R14. Tires are mounted on the Chrome Mag Rims and computer balanced. Used one summer season. Test mounted on General Motors Chevy Camaro and Pontiac Firebird (see car photo below). Sale price only $99 + s&h per wheel including chrome lug nuts, chrome locks & tires. Earn extra income: Ask about our referral program or business opportunity. These are very sharp looking wheels. The chrome on some of the wheels contains rust from storage. Some chrome near the lug nuts is scraped away, possibly due to lug wrench usage. One tire has a plug in between the top treads; however, the tires are being thrown in free. Since rubber tires age with time, we suggest replacing them with a new set of tires before using them on a vehicle. Each wheel will be cleaned and waxed prior to shipping. Automatic transmission, dual air bags, driver and passenger srs restraint system, four-wheel anti-lock power brakes (abs), ford 3.0 liter v6 engine with electronic fuel injection (efi), power window motors with window lock feature and express driver's down window, power door locks with child safety locks on rear doors, power steering, remote control power side mirrors with puddle lamps, tilt wheel, electronic cruise control, 6 way power driver's seat, reclining seat backs, adjustable head restraints, remote control keyless entry, electric rear window defroster, digital clock in dashboard, interior trunk release, programmable stereo AM/FM radio and cassette player with CD player and 6 disc CD changer, cup holders, coin tray, map lights, all season radial tires, low mileage, garage kept. Free car giveaway offer through our free referral program. Free car mechanic's special: Get it free, fix it up & sell it for a profit. Or sell the car parts separately. Ford 3.0 liter v6 engine with electronic fuel injection (efi). Ford automatic transmission. Ford four wheel anti-lock power brakes (abs). Ford power window motors. Ford electronic cruise control. Ford 6 way power driver's seat. Ford Taurus reclining seat backs. Ford Taurus rear seat. Ford Taurus adjustable head restraints. Ford cd player am/fm radio & cassette player. Ford Taurus dashboard. Ford Taurus hood. Ford Taurus doors. Ford Taurus windshield. Ford Taurus trunk lid. Free all season radial tires. Sale Price FREE through our product referral program. Delivery not included. Ford Vulcan V6 3.0 Liter Engine with electronic fuel injection (EFI), cast-iron block & iron heads. Displacement: 182.2 cu in (2,986 cc). Sequential fuel injection (SFI) 12 valve engine, OHV, 155 HP @ 4900 RPM. Manufacturer: Ford Motor Company. Includes vehicle with engine in running condition and genuine Ford OEM engine components & auto body parts. Earn money to buy a new car, or lease a new car, through our enhanced referral program or business opportunity. Black & Decker CarVac Plus #9511. Portable 12 volt car vacuum cleaner. Plugs into standard 12 volt accessory outlet (cigarette lighter outlet). Permanent, reusable and washable filter bag, aerodynamically designed nozzle for superior performance, 16 foot cord with convenient storage area, protective plug storage recess, on/off switch, textured handle grip, 12 volt plug. Includes complete accessory assortment: upholstery brush, crevice tool, dust brush, adapter & filter bag. Also includes instruction manual & original box. Black & Decker, Inc. Hunt Valley, Maryland. Good condition. Professional Mechanic's Creeper. Wood creeper with quality wheels and soft foam headrest support. Brand new condition. Purolator Oil Filter: PureONE, PL14459. Brand new oil filter in original box. Fits various engines including1998 Honda Civic LX, 1.6 liter engine. Features: Exclusive Micronic media (Micronic filtration) which traps microscopic contaminants, PTFE treated sealing gasket for easy installation and removal, Silicone anti-drainback* valve lasts longer for extended protection against engine dry start. 100% Covered in Textured Grip Control. All PureONE oil filters feature specially textured paint that helps keep the filter from slipping when you’re installing or removing the filter. *As applicable. Get 25% off when you order three or more diskettes. Get 75% off when you purchase of entire set ($1.25/ea). through our simple product referral program. Save 50% off when you order the entire set contained in three 3 Ring Binders. With 3 ring binder holes for book storage. Save 50% off when you order 3 or more booklets. Includes attached red lead & black 4-pin AMP connector (2 pins active). Includes 24" cable with 3 pin metal connector. Burn/melted spots on outter casing approximately 10" down from RPM connector end. May have touched hot exhaust manifold. Cable still intact. Slightly melted 1" of outter casing approximately 5" down from RPM connector end. May have touched hot exhaust manifold. Electrical tape covering 2" of outter melted casing (which was exposing shielded cable) approximately 17" down from RPM connector end. Cable still intact. No primary signal. Red primary wire might be broken or connector may need resoldering. Melted spot approximately 18" down from pick-up connector end. May have touched hot exhaust manifold. Cable still intact. Black (neg) battery wire cut in half, black rubber boot missing. Wire may need resoldering. No ground on black (neg) battery lead. May be a break somewhere in cable. A small 3-1/2 inch section of the outter wire is wrapped with some electrical tape. The wire may have touched hot exhaust manifold; however, the continuity on all three pins passes a multimeter test. Round connector at analyzer end has 28 holes with 6 pins in holes 1, 4, 5, 7, 8 & 9. Hole 2 is empty & looks like it was melted with a soldering iron. Outter plastic case of connector is broken & missing plastic lock ring. Connector can probably be taped to the boom. * 6004-0760-1, 91946D, 932903H, Cat #70640 Refrigerant Reclaim Tank Cable assembly. Daniel Woodhead yellow cable with connectors at each end. Rated 300 Volts, 3 Amps. The Strobe IV timing light has a 14 pin connector and an adjustable degree wheel that goes from 0-60 degrees. The circuit board part # is 7001-0440. The part number is located at the front end of the PCB underneath the bulb. You can unscrew the two screws on the plastic tube and slide the tube forward to access the printed circuit board. Be careful not to touch the large capacitor. We don't know if it functions. If you're good with electronics you can troubleshoot it @ component level or it may be good for spare parts. Four page booklet; "Quick reference guide: Testing 6 and 12 volt Starting and Charging Systems, using Sun's VAT 40." Also includes SUN VAT 40 (& VAT 28) Starting and Charging System Test Report page (2 pages for writing down test results). Sale price: $19.00 for emailed pdf booklet (save s&h fees and time by having this item emailed to you). Mailed items are $28. Functionality has not been verified and can not be guaranteed. Sun MCA 3000 Diskette Software Special! Front panel decal branded with Sun logo (for Sun Electric Corp.). Power cord, new ribbon in sealed plastic package. Optional paper guide separator included. 9 pin dot matrix parallel port printer model GE5250U. Power cord, ribbon & optional paper guide separator included. Dot matrix printers are the perfect solution for printing invoices and recipts that require carbon copy duplicates. Parallel printer port can be converted to usb with a parallel to usb adapter. A Comprehensive Guide For: Ignition systems, Starting systems, Charging systems, Emission control systems, Fuel systems, Compression systems and Air conditioning systems. Sun Electric Corporation 1977 (reprinted 1984). Second edition, 245 page softcover booklet. Quick reference guide to help identify alternator and circuit types, terminal locations, proper field connections and special test information. Seven page booklet covers Chrysler, Delcotron (GM), Ford, AMC and Motorola (American Motors, Jeep), circa 1979. Sale price: $7.00 for emailed images (save shipping & handling fees by having these items emailed to you). Mailed item is $14 + s&h. Written by Mitchell International, Inc., for Sun Electric Corp. © 1987, 682 pages. Written by Mitchell Information Services, Inc., for Sun Electric Corp. © 1985, 676 pages. Sturdy plastic tape storage box measures 12.5" high x 10.25" wide x 2.5" deep and contains both VHS tapes. This package protects the tapes from dust and grease and can be placed on a shelf or in the shop. General Motors Corp. © 1987. Package includes 1 video tape, length 23:00 minutes. Sturdy hard plastic tape storage box measures 8" high x 4.75" wide x 1.25" deep. General Motors Corp. © 1987. Package includes 1 video tape, length 36:10 minutes. Sturdy hard plastic tape storage box measures 8" high x 4.75" wide x 1.25" deep. General Motors Corp. © 1988. This booklet contains Engine & Chassis wiring diagrams for the cars listed above. Refer to body service manual for all body wiring diagrams. Original glove box booklet for this vehicle. Special offers: Sun electric diagnostic equipment. Sun diagnostic engine tester. Sun electric engine analyzer motor tester equipment. Sun Snap-on diagnostic equipment. New York Westchester Ford free car giveaway. Ford taurus V6 cylinder engine. Ford sale price free through our product referral program. Free Ford car giveaway offer, delivery not included. Or earn extra money to buy a brand new car or earn money to lease a new car. Ask about our enhanced referral program or business opportunity. Free car giveaway. Ford Westchester motor vehicle giveaway referral program. Westchester automotive vehicle sales. Auto mechanic's specials. Fix it sell it Ford car. Free snapon scope. Free snap-on sun motor testers. Free collector's items. Sun automotive engine analyzer. Sun diagnostic testers. Sun oscilloscope, snapon sun volt meter, sun dwell meter. Sun scope. Sun engine shorting switches for power balance cylinder testing on all cylinders. Snapon sun vacuum gauge, sun timing light. Snap-on sun diagnostic machines. Vintage garage sun automotive test equipment. Snap-on sun tester automotive tools. Sun electric vehicle diagnostic testers. Westchester Ford taurus giveaway. Westchester county Ford free vehicle giveaway. Car mechanic's special fix & sell. Ford free car offer. Westchester Free Ford 3.0 liter V6 engine with electronic fuel injection. Free classic car parts through our referral program. Ford westchester free car give away. Free automobile referral program. Get a brand new car with our referral system. Westchester ford giveaway. Pleasantville ford car giveaway. Yonkers ford car giveaway. Rye ford car giveaway. Bronx ford car giveaway. Scarsdale ford car giveaway. White plains ford Westchester car giveaway program. Free ford automobile offer. Free chrome plated wheels. Free performance rims, chrome mag wheels free offer. Performance set of classic cragar type chrome plated mag wheels with chrome center cap and 5 spoke wheels. CalChrome wheels McGard anti-theft chrome plated wheel locks with lug nut key, chrome plated lug nuts, chrome plated lug nut locks. Free CalChrome rims giveaway. Free uniroyal steel belted radial tires with raised white lettering. Free tires mounted on chrome mag rims, computer balanced. Westchester ford mechanic's special. Ford free vehicle offer. Classic garage equipment for sale. Wayne Carini chasing classic cars garage equipment offer. Sun electric master 2 classic car engine analyzer for sale. Snapon garage equipment. Bernard Juchli big dog garage Jay Leno's garage equipment requests. Classic sun master 2 engine analyzer diagnostic tester for sale near Jay Leno's birthplace New Rochelle NY. Long Island Jerry Seinfeld classic car garage vintage automotive garage equipment for sale. Classic car garage equipment. Comedians in cars drinking kangen coffee. Westchester free Ford car giveaway. Westchester free ford engine, V6 cylinder. NY Automotive shops. Westchester free ford giveaway. Westchester automotive shops. Westchester free engine V6 cylinder Ford giveaway. Westchester Ford vulcan engine 3.0 L, EFI all cast iron engine block, 12 valve SFI engine. OHV 182 cubic inches, 2986 cubic centimeters. Sequential fuel injection ford engine. Free engine includes vehicle with engine in running condition. Low mileage engine free. Manufacturered by the Ford Motor Company. 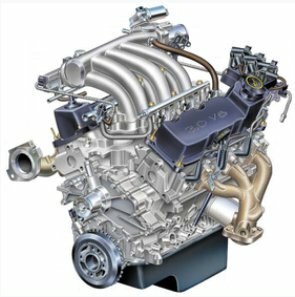 Free engine through our free referral program. Ford Westchester ny free ford engine giveaway. Westchester county ford car giveaway program. Free Ford taurus recycled parts. Free used car parts. Free Ford OEM genuine Ford car parts. FoMoCo genuine parts. Free Ford recycled parts. Free used Ford car parts. Used parts for auto body shops. Free used & recycled auto body parts OEM. Free automotive body shop parts. Westchester ford car giveaway. Refer friends and earn money for your car lease. Free Ford incentives and offers. Refer a friend and get paid for referrals. Network marketing program. Earn extra income to buy a car. Build your custom muscle car garage with Sun Electric Equipment Free. Earn money to build your dream car & classic car collection garage with snapon sun equipment. Westchester Ford free giveaway. Earn a second income without a second job opportunity. Start a dealership without inventory. Nothing to stock. Kangen dealership business sponsors. Westchester kangen classic cars. Generate an extra income stream for your business as a kangen distributor. Sell kangen alkaline water machines to your customers & earn multiple streams of income. Celebrity kangen water® sales. kangen Westchester free cars. Customize your car, customize your drinking water. Supercharge your car, supercharge your drinking water with powerful antioxidants & feel the difference. Delicious kangen alkaline water tastes refreshing. Delicious kangen water ® free product for local residents. Get a Kangen water ® machine and feel the power of hydrogen-rich water. Charge your body with kangen water®. Charge your electric car, charge your tap water with kangen water® machines. Tesla in your garage & kangen in your kitchen. The next gotta have it high-tech kitchen appliance. Financial independence opportunities. Earn money to buy a car or pay your car lease payments. Earn income from referrals. Generate additional income streams. Do you keep your business options open? Get a free business opportunity in a box. Opportunity of a lifetime. La oportunidad de toda una vida. Cambia tu agua, cambia tu vida®. Change your water, change your finances, change your life. Get that dream car you always wanted. Earn money for your dream car with our financial independence opportunity. Live the dream of your lifetime. Get financial freedom today. Special rebate offers, discounts and free giveaways. Get a rebate on any item purchased or get some items free. Tag sale automotive parts and accessories. Our automotive tag sale selection includes: sport wheels, cragar type rims, CalChrome wheels, classic chrome mag wheels with tires, Snap-on Sun engine analyzer, sun automotive equipment, sun tester automotive diagnostic tools, automotive accessories, sun tester automotive literature, chilton automotive repair manuals, chilton car repair manuals, Sun mca 3000 test link program diskettes software. Snap-on Sun Electric inspection machine dot matrix printers, Snap-on Sun Electric diagnostic tester dot matrix printers, Sun Electric engine analyzer parts, tools, accessories & literature. Suntester bulletins, Sun Electric newsletter pamphlets, black & decker carvac plus and much more. Westchester Tires & Auto Parts. Westchester mag wheels. Chrome plated performance rims / mag wheels tag sale free offer: performance set of classic cragar type chrome plated mag wheels with 5 spokes and chrome center cap. CalChrome wheels include a set of McGard anti-theft chrome plated wheel locks with chrome plated lug nuts & lug nut key. Will throw in free uniroyal steel belted radial tires with raised white lettering, size: p205/70r14. Tires are mounted on the chrome mag rims and computer balanced. Used one summer season. Test mounted on general motors chevy camaro and pontiac firebird. Sale price includes chrome lug nuts, chrome locks and tires. New York westchester mag wheels classic cars. Westchester free car giveaway. Sun westchester chrome mag wheels free giveaway referral program. Free Snapon automotive diagnostic equipment. Sun car testers. Sun battery testers, Sun battery chargers, Ctek automotive equipment. Vintage car garage diagnostic equipment. Classic car diagnostic tools & vintage equipment for you classic car garage. Sun Electric tester for your classic car garage. Free vintage equipment through our referral program. Classic car garage equipment. Collecting vintage cars? Building a classic car garage? Install a vintage Sun Electric tester in your classic car garage. Sun Electric diagnostic engine analyzer for your classic car collection. Just like Jay Leno's Garage has. Sun Electric banners, Sun Electric books & literature. Ask how to get free tools & equipment through our referral program. Mechanic's specials. Free Sun automotive shop equipment. Free Ford car giveaway near me. Ford free vehicle offers. Classic snap-on sun electric scope. Kangen water ® sale. Westchester free kangen water® machine referral program. New York westchester free Ford OEM Genuine FoMoCo parts. Free Ford recycled parts for auto body shops. Automotive used parts & recycled auto parts. Request genuine parts for your auto repair. Genuine Ford Taurus parts free through our referral program. Ford engine free offer. Westchester free car giveaway. Free kangen water® generators with referrals. Westchester ford free giveaway mechanic's special. Westchester hospital equipment sales. Westchester Sun circuit boards. Sun electronics. Westchester medical device sales. West chester Sun printed circuit board sales. Westchester Sun boards & electronic parts. Classic car parts direct sales. Network marketing program to build your custom muscle car garage. Earn money to build your dream car. Make money to build your classic car collection. Earn extra money to build your classic car garage. Ford westchester free car giveaway. Free automobile referral program. Free Sun Electric snap on tools. Ford west chester free car give away. Westchester Ford NY free ford engine giveaway. New York Ford Westchester free engine giveaway. Start a kangen distributor dealership. Westchester car referral programs. Get paid for referrals. Kangen westchester free car customer referral programs. New York lisa car westchester automotive used cars. Lisa Ford! Westchester automotive car giveaway. Lease a ford with referral income. Kangen cars, westchester automotive kangen car referral program. How to sell cars with our referral program. How to help customers make money to buy a car with our referral income system. Westchester car giveaway. Sponsored by computertek.com. Ctek automotive equipment & supplies. Ctek diagnostic testers. Westchester ford free car giveaway. Celebrity kangen water ® sales. Starter distributor kit in a box opportunity. Ford rims / wheels tag sale free offer: 16" 5-spoke painted aluminum wheels (silver sparkle). 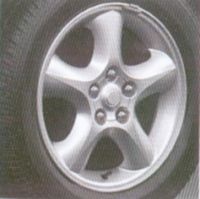 Standard wheel for ford vehicles including ford taurus se & ford taurus ses. Ford oem part #: yf1z-1007-aa. Center caps not included. Flat spot on top of each inner rim caused by clipping a curb. Wheels may be repairable at a professional wheel repair center at less cost than buying a new wheel from dealer. Sale price for both of these wheels: free + s&h for the pair. Westchester mag wheels chrome lug nuts. Westchester wheels free West chester tires. Westchester Ford sale. Westchester mag wheels. Free Crager type mag wheels. CalChrome wheels. Westchester classic car parts. Eastchester, Ford Scarsdale Westchester Ford free car referral giveaway referrals. Free Car Westchester Ford giveaway. Penny saver classifieds. West chester car contest. Free Sun tester parts. Sun Electric Snap-on testers. Sun diagnostic testers. Sun Snapon engine testers. Westchester free car. New York free car contest referral program. Westchester ford free car giveaway. Free car equipment through our free referral program. Classic car parts for sale in westchester. Classifieds free car Rye. Ford car giveaway. Scarsdale, Eastchester classic cars. Westchester ford taurus giveaway. Free ford Westchester giveaway referral program. Westchester Ford Taurus SEL giveaway. Mechanic's special offers. Free Ford for sale near me. County of westchester taurus for sale. New York westchester ford taurus giveaway free car offer. Westchester county taurus car give away. Westchester Ford Taurus. Free car Ford offer. Sun scope engine testers. Alkaline water westchester kangen water® machines. Earn money to buy a car or earn money to lease a car. Westchester free ford giveaway. How to earn extra income to pay your auto loan payments. Additional tag sale categories: miscellaneous, classic automotive parts, classic toys, classic games, classic collector baseball cards, board games, battleboard, claim to fame, clue, couple up, marblehead, mash golden trivia game, mille bornes, a question of scruples, rock trivia, trivial pursuit, perfection, radio controlled robot, toys trucks, gavi beacon film viewer, tag sale, collectables, collector items, speaker phone with caller id, jackets, rage leather jacket, members only jacket, televisions, rca television / rca black & white monitor, computer joystick, computer memory, computer printers, computer video board, computer graphics card, diamond stealth64 pc video board, dos doom software, doom companion collector's item, exercise equipment, ctek automobile tools, weight lifting, martial arts, boxing, chin-up bar, fitness, health, wellness, how to stop back pain, healing back pain, tips on how to lose weight, tips on how to reduce acid reflux, tips on how to reduce lactic acid buildup when exercising. Westchester alkaline water kangen sales near me. Westchester employment near me. Westchester NY free Ford engine give away program. New York Westchester jobs, earn extra income opportunities, referral income, affiliate program. Financial independence franchise opportunities near me. Contact us for details. Westchester Ford car giveaway. Westchester classic car parts. NY Westchester classic cars. Westchester vintage car parts. Connecticut classic car parts & car equipment. Westchester antiques & vintage car equipment. Used auto parts in Westchester County NY. Free engine diagnostic tester. Westchester Ford free car refer a few friends get a free car. Westchester alkaline water fuel cell innovative technology. Westchester alkaline water machines kangen with fuel cell technology kangen water® machine sales. Get one free through referrals. Alkaline water machines with fuel cell technology. Alkaline water innovative technology machines for the home. Kangen alkaline water innovative technology for your high-tech garage. Alkaline water technology appliances. Distributorships available. Kangen garage water dispensers. Global business opportunity. Become a distributor today. Free Sun automotive equipment. Free Ford taurus for sale near me. Westchester motor vehicle giveaway. Free ford offer. Sun oscilloscope. Classic car vintage Sun Snapon equipment sale. Connecticut Ford, New Jersey Ford, New York tri-state ford westchester free car giveaway. Get a free car lease payment each month with every qualified referral. Lease a new car with money earned through our referral program. Earn money to pay your car loan faster. Make extra money to pay your car lease every month. Westchester auto loan default payments. Make money to pay your car loan. Westchester car loan default payments on the rise. Did you default on auto loan payment? Earn money to pay your auto loan. Free used & recycled auto body parts OEM. Free automotive body shop parts.FoMoCo genuine parts. Free Ford recycled parts. Free used car parts. Free Ford OEM genuine Ford car parts. Free Ford taurus recycled parts. Free used Ford car parts. Used parts for auto body shops. Ford free engine, low miles. Earn money to buy a car. Network marketing to buy your dream car. Free kangen water ® machines with referrals. Westchester ford vehicle free giveaway. West chester Sun circuit board electronics. Westchester Ford giveaway programs. New York ford giveaway. Sun test equipment. Westchester car giveaways. Sun Electric Corporation of Crystal Lake Illinois was the premier manufacturer of automotive diagnostic test equipment for the automotive industry back in the day when America made something and America was the king of the automobile industry worldwide. Go to any classic car show or take a look at the American classic cars in Cuba to see the great iconic American cars of the past. Sun Electric Corporation was eventually bought out by the Snap-on Tools Corporation Kenosha, Wisconsin in 1992 in a deal worth $110 million. Shout out to Wayne Carini, Chasing Classic cars, Connecticut F40 Motorsports Portland Connecticut & Carini Carrozzeria Portland, Connecticut re: our Sun Electric Master 2 classic car diagnostic engine analyzer for sale. Attention Wayne Carini F40 Motorsports Route 66 Portland-Cobalt Rd Portland, Connecticut 06480 Chasing Classic Cars. Vintage Sun Electric diagnostic engine tester garage equipment sale. Shout out Wayne Carini fundraising for autism research for adults & children with autism through our health awareness project & medical appliance breakthrough technology modality for home use. Contact us for information. Shout out to Jay Leno & Bernard Juchli at Big Dog Garage re: our Sun Electric Master 2 classic car engine diagnostic analyzer for sale near Jay Leno's birthplace Westchester New Rochelle New York. Jay Leno's Garage 1971 Toyota Celica with SUN Performance Tested sticker on the fender. The classic Sun Electric Master 2 diagnostic engine analyzer is a great addition to any classic car collection and classic car garage. Comedian in car drinking kangen coffee. Shout out to Jerry Seinfeld, classic car collector, long island ny re: our sun master 2 classic car motor tester with oscilliscope for sale. Perfect addition for your garage & vintage car collection. Snap-on sun vehicle diagnostic testers. Vintage sun automotive test equipment. Sun tester automotive tools. Sun electric automotive garage equipment. Westchester collectibles. Sun diagnostic machines. Classic automotive garage sale: classic car parts, classic auto supplies classic auto parts, classic automotive diagnostic equipment, sun snap-on electric diagnostic testers. Westchester wheels & tires. Westchester free vehicle giveaway. Westchester classic car equipment. Free referrals for free tools. Westchester classic car parts free for referrals. Ctek equipment, Ctek automotive parts, Ctek automotive equipment. Computertek opportunities. Free car Westchester giveaway. New York free car referral program. Free vintage car diagnostic Sun equipment using our referral program. Classic car test equipment. Sun tester engine analyzers for classic cars. Free Sun automotive shop equipment. Kangen water ® machines. Westchester alkaline water free samples. Put a Kangen water ® machine in your automotive shop. Give Kangen water® to your customers. Generate extra income selling Kangen water ® machines. Westchester free kangen water® machine referral program. Refer your friends and get paid for referrals. Westchester free ford car giveaway. Kangen free alkaline water generator for referrals. Westchester garage free car giveaway. Ford V6 engine free offer. BOGO buy one get one free income opportunity network marketing program. Earn money to build your dream car & classic car garage. How to pay your car loan payments. Earn money to pay your car lease. Earn extra money to pay your auto loan. Get a free car with referrals. Ford westchester free car give away. NY Westchester Ford free engine referral programs. Start a kangen dealership with no inventory. Car referral programs pay for each referrals. Westchester car referral program. Kangen auto referrals, westchester automotive kangen referral car program. Westchester car giveaway. Westchester automotive car sales. Westchester kangen classic cars. Celebrity kangen water® appliance sales. Startup distributor kit in a box opportunities. Jay Leno on the Rebirth of Classic American Auto Parts Brands: By Jay Leno, popular mechanics. "Names like King, S-K Tools, and Sun once reigned in the U.S. car parts market. And when they disappear, part of our industrial history disappears, too. But now resourceful entrepreneurs are saving these classic brands, and PM car guy Jay Leno approves. If you grew up around racetracks and car enthusiasts in the 1950s and 1960s, you're probably familiar with King and Sun distributor test machines. Unlike today's vehicles, those old cars didn't come with computers to aid the ignition process. They used mechanical distributors. A distributor test machine pinpoints the most accurate ignition timing for a vehicle, maximizing horsepower and efficiency. Sun is now owned by a Dutch company and doesn't even make distributor diagnostic machines anymore. The original King Company was founded in 1911 in Cleveland and went out of business a few years ago. Without these machines, even the best mechanic is guessing at timing accuracy. And it's not like cars with distributors have suddenly disappeared altogether..." Jay Leno's Big Dog Garage Racing Team & Big Dog Garage Burbank, CA 91505 is owned by Jay Leno comedian, Tonight Show host, classic automotive mechanic, classic car collector. Bernard Juchli, master mechanic & general manager at Jay Leno"s Big Dog Garage near Bob Hope Airport in Los Angeles California. Jay Leno says the Sun Model 504 tester is ideal for any garage or restoration shop. Classic car restomod vs restoration: Restomodding restores the vehicle plus uses modern parts and current technology to improve the safety and comfort of the classic car. Restoration attempts to bring the classic car back to its original condition using original factory parts. Sun electric master two analyzer: Our Sun Master 2 diagnostic engine tester with oscilloscope is perfect for old classic cars and classic vehicles. Vintage Sun motor tester collector's item sales. New York classic car parts. Westchester free referrals car giveaway. Get a free car through our referral program. Six degrees of separation. Who do you know? Who do they know? Refer friends, family, coworkers, people you meet even business owners. Lohudson tag sale. Westchester lohudson classifieds mechanic's special classic car equipment. Ford Westchester free car giveaway. Free Sun shop equipment near me. Ford car offer ford taurus. Sun oscilloscope. Sun Electric Corporation classic equipment sale. Classic car vintage Sun Snapon equipment sale. Westchester free car giveaway. Westchester kangen water ® machine referral programs. Earn money to lease a car. Earn money to buy a car. Westchester free ford engine giveaway. New York classic cars. Westchester ford free giveaway. Westchester Sun circuit boards. Sun Electronics, Sun parts & equipment. Medical device sales. Become a distributor. Kangen car dealerships westchester automotive business opportunity with kangen car referral programs. How to sell cars using our referral income system. Help your customer make money to buy a car. Westchester automotive sales. Distributor starter kit in a box opportunity. Supercharge your car supercharge your water. Kangen entrepreneur dealership sponsors. Snap-on Sun Diagnostic Testers. Vintage Sun Automotive Test Equipment. Sun Tester Automotive Tools. Sun Electric Vehicle Diagnostic Testers. Sun Electric Automotive Garage Equipment. Sun Diagnostic Machines. Classifieds Vintage Car Classic Automotive Garage Sale: Classic Car Parts Classic Auto Supplies Classic Auto Parts Classic Automotive Diagnostic Equipment Sun Snap-on Electric Diagnostic Testers. Snap-on Sun Electric Engine Analyzers. Mechanic's Tools Vintage Classic Car Parts Classic Car Equipment Vehicles Used Car Parts. Westchester Classic Sun Master 2 Engine Tester For Sale. Sun 1115 Engine Analyzer. CalChrome Wheels. Westchester Antique Car Parts Vintage Car Parts Hot Rods Classified Ads New York. Westchester Sun Tester Automotive Collector's Items & Automotive Memorabilia. General Motors Pontiac Firebird Classsic CalChrome Mags. Classic Cragar SS Wheels. Chevy Camaro Classic Cragar Type Wheels GM. Cal Chrome Mag Wheels & Tires. Westchester Classic Cars. New York Muscle Car Wheels. Chrome McGard Wheel Locks. Sun Snap On Sun MCA 3000 Test Link Program Disks. Sun software diskettes. Sun electric free snap on tools. Sun MGA 9000 Parts. Sun Electric MGA 9000 Inspection Machine Parts. Sun Electric MEA 1300 Parts. Sun Engine Analyzers Classsic Car Service Manuals & Vintage Car Repair Literature. Vintage Sun Motor Tester Equipment for Bernard Juchli Big at Dog Garage Engine Testers by Sun Electric Corp. Classic Car Garage Equipment For Sale. Westchester Garage Sales Antique Vintage Car Equipment. Celebrity kangen alkaline water machine sales. Shout Out to Jay Leno's Garage, Jerry Seinfeld & Wayne Carini Chasing Classic Cars For Our Sun Electric Master 2 Classic Car Engine Analyzer For Sale. Comedians in cars drinking kangen water® coffee. Westchester classic cars. kangen Westchester Collectibles Orange County Ford Rockland Putnam Dutchess Portland Connecticut Burbank California. Sun Automotive Engine Analyzer & Diagnostic Tester. West chester Garage free car giveaway. New York Classic Car Parts Westchester Classic Car Tools. Westchester Sun Automotive Tools snapon. Car Shows In Westchester County New York. Moonlight Cruisers Classic Car Club Classifieds Westchester NY. Hudson Valley Cruise Classic Car Show Parts & Tools. Westchester New York Classic Cars. NY Classic Car Show Events. Restomods Classic Car Restoration Equipment. Classic Street Rods & Muscle Cars Westchester. Muscle Car Classic Wheels Hot Rod Car Custom Wheels. Classic Car Replica Wheels Cragar Mag Wheels. CalChrome California Chrome Wheels Plus Free Uniroyal Steel Belted Radial Tires With Raised White Lettering P205 70r14. Free Items Through Our Referral Program or Generate An Additional Income Stream Business Opportunities. Westchester free car referral programs. Shopping tagsale classic cars automotive sun test equipment. Sun Electric Corporation Snapon tools. Free Ford car giveaway Westchester county classic cars. Lohudson Car Sale Garage Westchester Tag Sale. Lohudson classified ads Westchester garage mechanic's automotive specials. Start a dealership with no inventory. Westchester ford giveaway program. Ford Westchester free car giveaway. Coast to coast free classic car parts through referrals. Westchester free automobile. New York free automobile contest referral program. Free classic car garage equipment referral program. Classic car garage equipment. Classic car parts for sale in west chester. Cars for sale in white plains ny. Westchester classic cars & Sun diagnostic engine testers. Westchester ford car giveaway. Classifieds free car Pleasantville. Ford car giveaway. Pleasantville ford taurus giveaway. Free ford Pleasantville giveaway referral program. Pleasantville Ford Taurus SEL giveaway. Westchester automotive testers for sale. Free Ford taurus near me. Westchester Ford Taurus car sale. NY ford westchester taurus giveaway car free offer. Westchester county taurus ford car give away. Westchester motor vehicle free ford car offer. Get money to buy a car. New car free offers. Westchester Ford car giveaway. Classic car Snapon Sun equipment sale. Westchester ford free giveaway. Earn money to buy a car. Earn money to lease a car. Free alkaline water generator referral program. Fuel cell technology water ionization chambers. Westchester medical device sales. Westchester medical equipment sales. Hydrogen-rich water filtration devices. Kangen H2 hydrogen water generators. Westchester medical devices for the home & business. West chester Sun circuit board parts. Sun electronic parts & automotive tools. Westchester medical equipment sales. Alkaline water filtration machines. Free referral programs, free parts & equipment through referrals. Affiliate program business opportunity franchises. Ford westchester free car giveaway program. Refer a friend and get a free car or refer a friend and get paid. Start a dealership without inventory. Westchester free car referral programs. Get paychecks for each referral. Westchester car referral program. Westchester auto giveaway. Automotive Garage Sale: Classic Automotive Sun Diagnostic Equipment. Classic Auto Parts Supplies Tools, Vehicle Equipment Car Parts, Truck Parts & Classic Auto Parts. Vintage Sun motor tester collector's item sales. Sun Electric Engine Diagnostic Tester Equipment. Sun Engine Analyzers, Performance Wheels Rims Mag Wheels. Free Sun automotive shop equipment. Sun Electric Master 2 Engine Analyzer. Classic Sun 1115 Sun Engine Analyzers. Sun Automotive Engine Analyzer & Diagnostic Tester with Oscilloscope & Gauges. General Motors Pontiac Firebird Classsic CalChrome Mags. Classic Cragar SS Wheels. Chevy Camaro Classic Cragar Type Wheels GM. CalChrome Mag Wheels & Tires. Westchester Classic Cars. New York Muscle Car Wheels. Chrome McGard Wheel Locks. Sun Westchester Automotive Classic Cars, Tools, Equipment. Westchester Classic Car shows. Westchester Hudson valley cruise classic car show parts & tools. Westchester Car shows in westchester county new york. Moonlight cruisers classic car club westchester NY. Car sales automotive westchester new york classic cars. NY classic car show events. Westchester Classic street rods & muscle cars westchester. Restomods classic car restoration equipment. Referral Program Free Items: Car Vacuum, Mechanic's Creeper... Sun Electric MCA 3000 Test Link, Sun Tester Program Diskettes. Sun MCA 3000 Software. Westchester Sun Test Link GM, Westchester Sun Test Link Ford, Westchester Sun Test Link Chrysler, Westchester Sun Test Link Mazda, Westchester Sun Test Link Toyota, Westchester Sun Test Link Nissan, Westchester Sun Test Link Disks Acura, Westchester Sun Test Link General Motors, Westchester Sun Test Link Chevy, Westchester Sun Test Link Camaro, Westchester Sun Test Link Firebird. Westchester Sun Test Link Pontiac, Westchester Sun Test Link Diskettes for Sun Electric diagnostic analyzer tester. Literature, Sun Tester TSB Technical Service Bulletins, Suntester Bulletins, Inductive, Capacitive, RPM, Secondary Pattern, HEI, ALDL, Bi-directional, Pick-up, Pickups, Leads, Cables, Connectors, SUN Electric TUT 915 Tune up Tester, Sun Vat 40 Quick Reference User Guide, Volt Amp Tester 28, Sun MGA 9000 Inspection Machine. MEA 1500, Air Conditioning Recycling Charger, SUN Electric MRC 400, SUN Electric MRC 450, MTC Load Cell Assembly, Moisture Indicator Gauge, Oil Micro Switch, Okidata Microline ML 391 Plus Dot Matrix Printer, Paramount Gas Leaf Blower, Hamilton RPM Probe, Expertec Videos, Expertech, Expertek, Vetronix, Chilton Auto Repair Manuals, GM Service Manuals, Caprice, Chevrolet, Chevelle, Camaro, Chevette, Concours, Corvette, Impala, Monte Carlo, Malibu, Monza, Nova, Taurus, Vega, Oldsmobile Diesel Engine Service Manual, Passenger Car Service, Light Duty Trucks, Fisher Body Service Manual, 1981 Chevrolet Owner's Manual, Snap-on, Sun Electric SnapOn, SUN 1805 engine analyzer, SUN 1115 engine analyzer, Sun Automotive Test Equipment, Classic Car Automotive Memorabilia, Sun Machines, Autos, automobiles, cars, vehicles, oscilloscope, timing light. Donut Spare Tire, Chevy Block Engine Fan, Alternator, Air Pump, Chevy Hub Cap, Craftsman, Daniel Woodhead, Yellow Cable, Circuit Board, SUN Electric PCB Snapon. SUN MGA 9000 Barcode Scanner, Barcode Reader, SUN MGA 9000 Bar Code Scanner MGA-9000 Inspection Machine. Sun Electric barcode reader with cable. Exhaust Hose, Exhaust Probe tip, Wood Handle, Tag Sale, Westchester Tagsale, Garage, Yard, Attic, Westchester Sale, Flea Market Westchester, Buy, Sell, Wanted, Trade, For Sale in Westchester, 4 Sale, Westchester Antiques, Westchester Vintage cars, Westchester Classic cars. Westchester automotive vehicle sales. Westchester Collector's Items, Collectibles, Collectables, New York Westchester Antique Car Parts, Westchester Vintage Car Parts, Westchester Hot Rods, Westchester Shopping, Westchester Classifieds. Ford free car contest. Classified Ads Westchester free car giveaway referral program. ComputerTek.com Tag Sale. New York Classic Car Parts Westchester Classic Car Tools. Westchester Car Equipment Discounts. Automotive Parts For Sale in Westchester County, NY Garage Sales. Sun Diagnostic Engine Testers. Get free products in Westchester through our Simple Referral Program. Westchester free car offer. Kangen New York westchester alkaline water referrals get a free car! Westchester car lease payments for referrals. Let us help you! GM Westchester Ford free automobile giveaway. Westchester free classic car equipment. Hydrogen water generators H2 water devices near me. Medical equipment sales. Hydrogen rich water generator sales. Kangen alkaline water fuel cell technology for your kitchen. Water filter appliances. Filters fast alkaline water from your faucet. Westchester green kitchen appliances. Kangen garage alkaline water dispensers. Free Sun automotive diagnostic equipment. Free Ford for sale near me. Become an alkaline water dealer without inventory. Build alkaline water distributorships worldwide. Vintage car classic Sun Snapon equipment free offers. Westchester car giveaway free ford vehicle. Westchester free kangen machine referrals. Free car referral program. Need a car? Free car offer. Submit referrals to get a free Ford car. Scarsdale, Westchester Ford giveaway free car scarsdale ford free car referral program. Westchester free ford V6 engine giveaway. Westchester Collectibles. Shout Out to Wayne Carini Chasing Classic Cars For Our Sun Electric Master 2 Classic Car Engine Analyzer For Sale. Shout Out to Bernard Juchli Big Dog Garage Jay Leno's Garage Equipment Requests For Classic Garage Equipment For Sale near Jay Leno's Birthplace in Westchester New Rochelle NY. Long Island Shout Out to Jerry Seinfeld & Jay Leno for our Classic Sun Master 2 Car Engine Analyzer For Sale. Jay Leno's Garage requests: Classic Car Sun Engine Analyzers: We welcome automotive equipment requests from Jay Leno's Garage & Bernard Juchli. Westchester Tag Sale Westchester Garage Sale. Muscle car classic wheels, hot rod car custom wheels, classic car replica wheels Cragar Mag Wheels. CalChrome California Chrome wheels plus free Uniroyal steel belted radial tires with raised white lettering P205/70R14. Tires westchester mag chrome wheels. Classic car restoration vs restomods. Westchester ford car giveaway. Free items through our Referral Program or Earn up to $100 For Referrals. Snap-on New York Westchester Classic sun engine analyzers. Westchester New York Classic calchrome mag wheels. Westchester garage car giveaway. Free car referral program. New York Westchester Uniroyal tires & chrome rims. Sun Snapon New York Westchester Classic automotive equipment & diagnostic tools. New York Westchester Classic automotive literature. Westchester Sun electric printers for sun automotive testers. Snap-on Sun New York Westchester Classic car repair manuals. Sun Electric New York Snap-on Westchester Classic sun mca 3000 test link program diskettes. New York Westchester Vintage sun engine analyzer for classic cars. New York Westchester Diagnostic testers. Sun Snap-on Sun Master two diagnostic tester. Sun Master 2 engine analyzer. Financial independence opportunities: earn extra money to pay your vehicle lease. Westchester Ford giveaway. Do you keep your business options open? Ask about our business opportunity. Generate an additional income stream. Earn income from referrals. Special rebate offer: get a rebate on any classic car item through our referral program. Westchester White Plains Free Car Giveaway. Free Ford Taurus Giveaway Referral Program. Westchester County New York Car Dealerships. Free monthly lease referral plans. Refer our product, pay off your lease. Refer our products & pay down your mortgage. Alkaline water delivery westchester water kangen classic car garage water dispensers. Baby boomers suvs millennial car buyers crossover cars. Millennials & baby boomers earn extra money to lease new vehicles. Westchester free car giveaway. Classifieds lohudson garage sale westchester snapon tag sale. Westchester cars free referral program. Westchester garage mechanic's specials. Westchester tag sale penny saver. Westchester penny saver free car referral giveaway. Free automotive parts, free games. Westchester penny saver garage sale. Alkaline water delivery near me. Free car Westchester ford giveaway. Penny saving classified ads free car Scarsdale, ford car free giveaway. White Plains ford taurus giveaway. Free ford White Plains giveaway referral program. White Plains Ford Taurus SEL giveaway. Free automobile referral program. Westchester free cars. New York free cars contest. Free Sun automotive shop equipment. Become a kangen dealer without inventory. Build kangen distributorships worldwide. Westchester kangen free appliance referral program. Earn money for a car. Earn income for leasing a car. Network marketing opportunities. Make money to build your classic car garage. Make money to build your dream car. Sun electronic equipment direct sales. Westchester Sun car parts, sun electric circuit boards. Ford west chester free car giveaway. New York Westchester Ford car giveaway program. Refer a friend & get a free car! Refer a friend and get paid for referrals. Kangen westchester car referral programs. Westchester automobile giveaway. Ford Motor Company vehicles & Genuine Ford Parts. Ford Vulcan 3.0 Liter V6 Engine with EFI (electronic fuel injection), cast iron block with iron heads. 182.2 cu in displacement (2986 cc). Sequential fuel injection (SFI) 12 valve engine. OHV, 155 HP @ 4900 RPM. Manufacturered by Ford Motor Company. Ford V6 engine in running condition. Includes vehicle with extra engine component parts & OEM genuine Ford auto body parts. Ford Vulcan V6 3.0 L, 182.2 cu in (2,986 cc). Ford V6 engine with cast-iron block and iron heads. Ford Vulcan engine. Ford 3.0 liter v6 engine with electronic fuel injection (efi). Ford Engine 3.0 liter, 182 cu in, V-6 SFI Ford Vulcan 12 valve engine, OHV, 155 HP @ 4900 RPM. 3.0 liter ford engine 182.2 cubic inch V6 sequential fuel injection twelve valve motor. Overhead valve, 155 horsepower at 4,900 rotations per minute. 2003 Ford Taurus 3.0 Liter V6 Vulcan Engine OHV, running condition, only 52 k miles. $0.00 Free through our referral program. 2003 Mercury Sable V6 engine 3.0 Liter OHV Vulcan Engine running with only 52k miles. $0.00 dollars. Free offer through referrals. Applications: 1986 -1997 Ford Aerostar, 1986 - 2007 Ford Taurus, 1986 - 2005 Mercury Sable, 1990 - 1992 Ford Probe, 1991 - 2008 Ford Ranger, 1992 - 1994 Ford Tempo, 1992 - 1994 Mercury Topaz, 1994 - 2007 Mazda B3000, 1995 - 2000 Ford Windstar. Ford free engine with low mileage. Westchester free ford vehicle giveaway. Get a free car with our free referral program. Ford west chester free car give away. Westchester kangen car referral programs. Get a free car & sell the car for a profit. How to get a free car in westchester. What car do you want and how much money do you need to buy your car? New york westchester automotive mechanic's specials. Westchester used car sale. Ford mechanic's special pre-owned car for sale. Ford westchester new york ford sale. Referral program free car giveaway through referrals. Westchester cars for sale. New york westchester free cars giveaway. Westchester used cars new york. Free Ford car parts. Free Ford Taurus SES: automatic transmission free, dual air bags, driver and passenger srs restraint system, free four-wheel anti-lock power brakes (abs), free ford 3.0 liter v6 engine with electronic fuel injection (efi), free power window motors with window lock feature and express driver's down window, power door locks with child safety locks on rear doors, power steering, remote control power side mirrors, tilt wheel, free electronic cruise control, free 6 way power driver's seat, free reclining seat backs, free adjustable head restraints, remote control keyless entry, electric rear window defroster, digital clock in dashboard, interior trunk release, free programmable stereo with four speakers, free cd player with CD player and 6 disc CD changer, am fm radio cassette player, cup holders, coin tray, map lights, free all season radial tires, low mileage, garage kept. Free Car Offer. Automotive garage mechanic's car restoration shops. Backyard car mechanic special car free. Local pick up in westchester NY. Get it free, fix it up & sell it for a profit. Or sell the parts separately: ford 3.0 liter V6 engine with EFI electronic fuel injection. Ford OEM genuine parts. FoMoCo OEM genuine Ford automatic transmission. Free four wheel anti-lock power brakes (abs), Free Ford parts, genuine OEM parts. Westchester Ford free car giveaway. Free power window motors, Ford. Free electronic cruise control, Ford Free 6 way power driver's seat, Ford. Free reclining seat backs, Ford. Free rear seat, Ford. Free adjustable head restraints, Ford OEM genuine Ford parts. Free cd player am fm radio cassette. OEM genuine Ford dashboard. Free Ford hood OEM. Genuine Ford doors. OEM Ford windshield. OEM genuine Ford trunk lid. Free all season radial tires. Westchester ford free car offer. New York dealerships westchester. Ford free car giveaway programs. Get your car lease paid for. Free car lease referral program. Pay off your car lease payments. Westchester motor vehicle give away. Westchester Ford car giveaway. Snapon SUN Electric manuals. Snapon SUN operating instructions & manuals. SUN automotive instruction manuals. SUN service manuals. Modular Computer Analyzer MCA-3000 Sun Electric Snapon engine tester parts. Free Sun automotive shop equipment. Classic car garage equipment. Free Ford taurus offers near me. Diagnostic testers & Free Sun equipment near me. Mechanic's shop equipment sale. Sun electric diagnostic equipment special offers. Sun diagnostic engine tester special offer. Sun electric engine analyzer motor tester equipment. Snap-on Sun electric diagnostic equipment special offers. New York Westchester Ford free car giveaway. Low mileage ford taurus V6 engine special offer. Westchester ford sale free with referrals. Ford car giveaway offer. Earn extra income for a new car or earn income to lease a new car. Free enhanced referral program. Kangen earn a second income without a second job business opportunity. Ford free car giveaway. Westchester county ford vehicle for sale. Westchester ford giveaway. Celebrity referral program Scarsdale. Ford Westchester motor vehicle giveaway referral program. New York Westchester automotive vehicle sales. New Jersey classic car parts. Free snap-on sun motor engine testers. Free collector item vintage car parts. Sun automotive engine analyzers. Snap-on sun diagnostic tester garage equipment. Free sun oscilloscope with sun volt meter. Free sun electric analyzer with sun dwell meter, sun engine shorting power balance testing cylinders. Includes sun vacuum gauge, sun timing light. Snap-on sun diagnostic machines. Alkaline water kangen machines. Vintage garage sun auto testing equipment. Sun snap-on tester tools. Sun electric vehicle diagnostic automobile testers. Westchester Ford taurus giveaway. New York kangen Westchester county Ford free vehicle giveaway. Open a dealership with not inventory. Westchester Free Ford V6 3.0 liter engine. Electronic fuel injection, low mileage. Ford mechanic's special. Ford free car give away. Sun oscilloscopes. SUN MGA 9000 Barcode Scanner, Sun Barcode Reader, MGA 9000 Sun Bar Code Reader, Snapon SUN MGA 9000 Bar Code Scanner inspection machines parts. Sun Electric vintage equipment. Classic Sun Snapon equipment offers. Free classic car parts through our referral program. Get a brand new car with our referral system. Westchester ford giveaway. Pleasantville ford car giveaway. Yonkers ford car giveaway. Rye ford car giveaway. Bronx ford car giveaway. Scarsdale ford car giveaway. White plains ford Westchester car giveaway program. Free chrome plated wheels. Free performance rims, chrome mag wheels free offer. Performance set of classic cragar type chrome plated mag wheels with chrome center cap and 5 spoke wheels. CalChrome wheels McGard anti-theft chrome plated wheel locks with lug nut key, chrome plated lug nuts & chrome plated lug nut locks. CalChrome rims giveaway. Free uniroyal steel belted radial tires with raised white lettering. Tires mounted on chrome mag rims, computer balanced. Ford OEM genuine Ford car parts. FoMoCo genuine parts. Earn money to buy a car through our referral program. Refer friends, earn money for a car lease. Free Ford incentives & offers. Refer a friend, get paid for referrals to afford your car. Westchester free ford vehicle giveaways. Free automobile referral program. Ford westchester free car giveaway. Westchester car referral projects. Sun westchester street rod events. Automotive parts, car parts, auto supplies, automotive diagnostic equipment sun snapon - snap-on sun electric diagnostic testers - sun engine analyzers - mechanic's tools, vintage classic car parts, vehicles, used car parts - antique car parts, vintage car parts, hot rods, classifieds ads - collector's items - sun mca 3000 - sun mga 9000 - sun mea 1300 - health fitness equipment discounts - jay leno's garage requests for sale westchester ny - computertek.com westchester tag sale. Automotive parts supplies tools, car parts, truck parts, auto parts, engine diagnostic tester equipment, performance wheels rims mags. GM chrome wheels. General Motors wheels, Pontiac, Chevy rims. Sun master 2 engine analyzer. Precision tune sun master two engine tester. Sun engine analyzers. Westchester ford car free giveaway. White Plains ford car giveaway. Black & decker car vacuum CarVac, mechanic's creeper, sun mca 3000 test link disks, sun mca 3000 software diskettes for gm, ford, chrysler, mazda, toyota, nissan, acura, motor, general motors, chevy, camaro, pontiac, firebird, literature, sun tester tsb technical service bulletins, suntester bulletins, inductive, capacitive, rpm, secondary pattern, hei, aldl, bi-directional, pick-up, pickups, leads, cables, connectors, sun tut 915 tune up tester, sun vat 40 quick reference user guide, volt amp tester 28, mga 9000, mea 1500, air conditioning recycling charger, sun mrc 400, sun mrc 450, mtc load cell assembly, moisture indicator gauge, oil micro switch, okidata microline ml 391 plus dot matrix printer, paramount gas leaf blower, hamilton rpm probe, expertec videos, expertech, expertek, vetronix, chilton auto repair manuals, gm service manuals, caprice, chevrolet, chevelle, camaro, chevette, concours, corvette, impala, monte carlo, malibu, monza, nova, taurus, vega, oldsmobile diesel engine service manual, passenger car service, light duty trucks, fisher body service manual, 1981 chevrolet owner's manual, snap-on, sun electric snap-on, sun 1805 engine analyzer, sun 1115 engine analyzer. SUN Electric instructions manuals. 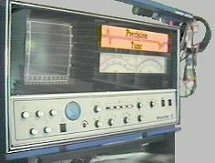 Sun automotive test equipment, sun machines. Free Sun automotive shop equipment. Autos, automobiles, cars, vehicles, oscilloscope, automotive electronic scope, timing light, cragar, calchrome, cal chrome, alloy, steel, donut spare tire, free chevy block engine fan, free alternator, air pump, free chevy hub cap, craftsman tools. Daniel woodhead yellow cable, circuit boards, pcb, barcode, scanner, barcode reader, exhaust hose, exhaust probe tip, wood handle, tag sale, tag sale, garage, yard, attic, sale, flea market, buy, sell, wanted, trade, for sale, 4 sale, antiques, vintage, classic, collector's items, collectibles, collectables, antique car parts, vintage car parts, hot rods, shopping, westchester classifieds, classified ads, computertek.com tag sale. Health fitness equipment discounts. Automotive parts for sale in westchester county, ny. Get free products in westchester through our simple referral program. Jay leno's garage requests: classic car sun engine analyzers: we welcome automotive parts requests from jay leno's garage. We welcome automotive equipment inquiries from jay leno's garage. Special rebate offers, discounts and free giveaways. Get a rebate on any item purchased or get some items free. Tag sale automotive parts and accessories. Our automotive tag sale selection includes: sport wheels, cragar type rims, CalChrome wheels, classic chrome mag wheels with tires. Westchester mag wheels. Snap-on sun engine analyzer, automotive equipment, automotive diagnostic tools, automotive accessories, automotive literature, chilton automotive repair manuals, chilton car repair manuals, sun mca 3000 test link program diskettes, sun 3000 software, snap-on sun electric inspection machine dot matrix printers, snap-on sun electric diagnostic tester dot matrix printers, sun electric engine analyzer parts, tools, accessories & literature. Suntester bulletins, sun electric newsletter pamphlets, black & decker carvac plus and much more. Chrome plated performance rims / mag wheels tag sale free offer: performance set of classic cragar ss type chrome plated mag wheels with 5 spokes and chrome center cap. Includes a set of McGard anti-theft chrome plated wheel locks with chrome plated lug nuts & lug nut key. Will throw in free uniroyal steel belted radial tires with raised white lettering, size: p205/70r14. Tires are mounted on the chrome mag rims and computer balanced. Used one summer season. Mispelled crager mag wheels. Mispelled McGuard wheel locks. Test mounted on general motors chevy camaro and pontiac firebird. Sale price includes chrome lug nuts, chrome locks and tires. General motors mag wheels. Chevy camaro mag wheels, pontiac firebird mag wheels. Ford rims / wheels tag sale free offer: 16" 5-spoke painted aluminum wheels (silver sparkle). Standard wheel for ford vehicles including ford taurus se & ford taurus ses. Ford oem part #: yf1z-1007-aa. Center caps not included. Flat spot on top of each inner rim caused by clipping a curb. Wheels may be repairable at a professional wheel repair center at less cost than buying a new wheel from dealer. Sale price for both of these wheels: free + s&h for the pair. Penny saver Westchester new york classic cars tag sale categories: miscellaneous, classic automotive parts, classic toys, classic games, classic collector baseball cards, board games, battleboard, claim to fame, clue, couple up, marblehead, mash golden trivia game, mille bornes, a question of scruples, rock trivia, trivial pursuit, perfection, radio controlled robot, toys trucks, gavi beacon film viewer, tag sale, collectables, collector items, speaker phone with caller id, jackets, rage leather jacket, members only jacket, televisions, rca television / rca black & white monitor, computer software, computer joystick, computer memory, computer printers, computer video board, computer graphics card, diamond stealth64 pc video board, dos doom software, doom companion collector's item, exercise equipment, weight lifting, martial arts, boxing, punching bag, chin-up bar, fitness, health, wellness, how to stop back pain, healing back pain, tips on how to lose weight, tips on how to reduce acid reflux, tips on how to reduce lactic acid buildup from exercising. Westchester alkaline water sales near me. Classic car garage water kangen alkaline dispensers. Westchester kangen car referral income programs. Westchester kangen water® equipment. Westchester employment. New York Westchester Jobs near me. Earn extra income from home opportunities. Earn referral income for your car lease. Get a brand new car. Lease a car. New car free offers. Ford car give away. Get a Ford car free through referrals. Get money to buy a car. Affiliate programs, financial independence westchester franchise opportunities. Westchester new york vintage cars. Westchester Classic Car tools. West chester motor vehicle giveaway. Classic car garage sale. Classic car parts. Computertek shopping tagsale classic cars automotive sun test equipment. Sun electric corporation. Snapon tools. Free diagnostic car tester. Westchester free car give away. Free pickup in westchester. Free ford engine V6 cylinder. Free 3.0 liter v6 engine. Westchester county new york free automobile giveaway. Westchester free Ford car giveaway. Westchester free ford engine, V6 cylinder. NY Automotive service centers. Automotive shops of westchester county new york. Free engine referral program. Westchester free Ford engine giveaway. Manufacturered by Ford Motor Company. FoMoCo parts, westchester free ford car give away. Westchester automotive shops & service repair centers. Westchester body shops. Engine repair shops. Westchester free engine V6 cylinder Ford giveaway. Westchester Ford vulcan engine free 3.0 L motor, EFI all cast iron engine block, 12 valve SFI engine. OHV 182 cubic inches, 2986 cubic centimeters. Sequential fuel injection ford engine. Free Ford OEM genuine automotive parts. Ford OEM car parts. FoMoCo parts. Free engine includes vehicle with engine in running condition, low mileage. Free ford westchester county new york ford car engines & genuine Ford car parts. Westchester free ford car give away. Ford automotive repair shops. White plains Ford auto service genuine FoMoCo parts. Free Ford recycled parts. Westchester free ford OEM engine. Genuine Ford V6 cylinder OEM Engine. New York Automotive body shops. Westchester body shops. Ask for genuine OEM replacement parts on your car repairs. Free ford give away. Westchester Ford OEM Parts. Free engine V6 Vulcan Ford engine OEM part. Westchester free ford car giveaway. Ford free taurus recycled parts. Free ford used car parts. Free FoMoCo OEM genuine parts. Free used OEM Ford car parts. Free OEM Ford recycled auto parts. Free Ford genuine OEM Ford car parts. Free OEM automotive body shop repairs. Ford genuine OEM car parts. Free used auto parts for body shops. OEM parts free used & recycled auto body parts. Request OEM replacement parts. Westchester auto repair body parts & auto body repair. Westchester auto body shop & collision free parts. Free OEM genuine Ford auto body parts. Free genuine Ford engine parts. Free OEM Ford auto body genuine parts. Westchester auto body Taurus parts. Genuine Ford taurus body parts. OEM Genuine Ford taurus engine. Auto body replacement parts. 3.0 liter V6 replacement engine. Free car parts for Westchester auto body state-of-the-art facilities. Westchester ford free giveaway. Free tools & automotive equipment giveaway. Westchester Ford taurus parts & equipment. Ford free engine offers. Free Ford taurus engine with low miles. Ford westchester free car give away. West chester garage mechanic special tools. Westchester penny savers garage sale. Free car referral giveaway program. NY Penny saving garage tag sales. Westchester ford free car giveaway. White Plains ford taurus car giveaway. Westchester alkaline water appliance with automotive fuel cell technology. Water kangen ionized electrolysis chamber technology. Jay Leno's garage water dispenser. Kangen water ® machines. H2 alkaline water hydrogen production by alkaline water electrolysis. Kangen ionized fuel cell hydrogen electrolysis technology sales. Install an H2 hydrogen water dispenser in your workshop or classic car garage. How to get a free kangen water ® device. Free car through our free referral program. Free Sun automotive shop equipment. Free Ford near me. Free ford scarsdale car giveaway. Eastchester classic car free giveaway. New car free offers. Get money to buy a car. Ford vehicle free offers. Sun snapon oscilloscope diagnostic tester machines. Connecticut Ford giveaway. New Jersey Ford giveaway. New York tri-state ford westchester ford free car giveaway. New york westchester free kangen alkaline water machine referral system. White plains ford engine free giveaway referral program. Westchester new york free ford vehicle giveaway. Westchester kangen automotive referrals. Automotive Memorabilia, Snap-on Sun Electric Classic car equipment. Snap-on Sun Electric Classic car tools. Snap-on Sun Electric Classic car diagnostic equipment. Snap-on Sun Electric Classic car engine testers. Put a vintage Sun diagnostic tester in your classic car garage or classic car museum. Classic Sun Electric Engine Analyzer For Your Classic Car Collection. Attention Westchester New York Classic Car Buyers! Attention Rockland County New York Classic Car Buyers! Kangen Orange County New York Classic Car Equipment Sales. Attention Big Dog Garage Burbank California 91505 owned by Jay Leno, Big Dog Garage Racing Team & Jay Leno’s master mechanic Bernard Juchli, General Manager at Jay Leno"s Big Dog Garage, Los Angeles California near Bob Hope Airport. Shout Out to Bernard Juchli of Jay leno's garage. We noticed a SUN Performance Tested sticker on the fender of a 1971 Toyota Celica in Jay Leno's Garage. We have an original classic sun electric engine analyzer manufactured by Sun Electric. It's a Sun Electric Sun Master 2 engine analyzer, similar to a Sun1115 engine analyzer. Our Sun Electric Engine Analyzer is prefect for a classic car garage & for classic car restoration work. We welcome automotive parts requests from jay leno's garage master mechanic Bernard Juchli & automotive equipment inquiries from jay leno's garage General Manager Bernard Juchli to add our Sun Electric Master 2 diagnostic analyzer tester to Jay Leno's classic car collection of automotive memorabilia. Precision Tune Sun Electric Master 2 machine pickup in new york, Jay Leno's birthplace and original home of the Precision Tune Sun Electric Master 2 automotive diagnostic tester for sale. Jay Leno was born in New Rochelle New York. Jay Leno's father Angelo was born in New York. Celebrity comedians, writers and TV personalities. Mariano Rivera, baseball pitcher for New York Yankees. Celebrities Rob Reiner & Carl Reiner also lived in New Rochelle New York. Celebrity actors Matt Dillon & Kevin Dillon were also from New Rochelle New York. Actor, director producer Laurence Fishburne. New Rochelle Norman Rockwell, artist & illustrator. Classic cars Westchester New York classic cars: Classic car equipment NY Classic Cars New York, Vintage Cars, Westchester Classic Cars. Shout Out to Wayne Carini Connecticut from F40 Motorsports Portland, Connecticut, Carini Carrozzeria Portland, Connecticut & TV Show Chasing Classic Cars with Wayne Carini, master car restorer. Add our Original Sun Electric Master 2 Precision Tune diagnostic analyzer tester to the Wayne Carini garage. Machine pickup in new york. We would also like to help Wayne Carini raise funds for autism research organizations for children and adults with autism through our health awareness project. Studies show that individuals with autism often have other health issues such as gastrointestinal disorders, dehydration, acid reflux, oxidation and inflammation, especially in the brain. Hospitals in Japan use a certified medical device to electrolyze water and produce antioxidant water. This small home appliance is available for home kitchens. Free samples available. Wayne Carini, contact us for information. New york, ny, city, nyc, new york city, manhattan, metro, albany, new jersey, nj, greenwich, stamford, darien, norwalk, fairfield county, connecticut, ct. Bronx motor vehicle giveaway free ford car for referrals. City island, brooklyn, queens, staten island, long island, long island city, bethpage, old bethpage, plainview, farmingdale, hicksville, levittown, islip, westbury, oyster bay, hempstead, bay shore, montauk, hamptons, east hampton, south hampton, nassau county, suffolk county, fresh meadows, amawalk, ardsley-on-hudson, armonk, baldwin place, banksville, bedford, bedford hills, bedford village, brewster, briarcliff, briarcliff manor, bronxville, buchanan, carmel, chappaqua, cold spring, cortlandt, cortlandt manor, crestwood, crompond, cross county, cross river, croton, croton falls, croton-on-hudson, crugers, dobbs ferry, eastchester, edgemont, elmsford, fleetwood, garrison, goldens bridge, granite springs, greenburgh, greenberg, harrison, hartsdale, hastings, hastings-on-hudson, hawthorne, heritage hills, historic hudson river towns, hudson river towns, rivertowns, hudson river valley towns, irvington, jefferson valley, katonah, lake mohegan, larchmont, lewisboro, lincolndale, mahopac, malibu, mamaroneck, millwood, mohegan lake, montrose, mount kisco, mt kisco, mount pleasant, mt pleasant, mount vernon, mt vernon, new castle, new rochelle, new york, north castle, north salem, ossining, peekskill, pelham, pelham manor, pleasantville, pocantico hills, port chester, pound ridge, purchase, purdys, rye, rye brook, scarborough, scarsdale, scotts corners, shenorock, shrub oak, silver lake, sleepy hollow, somers, south salem, tarrytown, thornwood, tuckahoe, valhalla water, verplanck, waccabuc, west harrison, whitehall corners, wappingers falls, white plains, yonkers, yorktown, yorktown heights, westchester, alkaline water west chester, westchester county, westchester county ny, upper westchester, lower westchester classic cars, greenwich, connecticut classic cars, dutchess county, orange county, Ford putnam county, rockland county. Free ford bronx free car giveaway. Bronx motor vehicle free car offer. City island, manhattan, new york, ny, new york city, nyc, long island, long island city, california. Westchester classic car shows. Westchester classic cars danbury ct. Westchester motor vehicle referral program. Eastchester classic car show. New rochelle classic car show. Westchester street rod association car show new rochelle ny. Westchester corvette club's classic car show. Moonlight cruisers classic car club behind starbucks, new york sports club & lord & taylor eastchester scarsdale new york. Lake isle moonlight cruisers classic car and motorcycle show eastchester ny. Hudson valley car cruise. Westchester cruise nights. Westchester county car show. Westchester wheels of time is a classic car club. Southern westchester boces ccs car show. Westchester rock 'n' rods car club yonkers ny. Mount vernon classic car club of new york. Maryknoll fathers and brothers antique & classic car fundraiser. Classic cars westchester new york. Shopping tagsale classic cars automotive sun test equipment. Sun electric corporation. Snapon tools. North white plains ny, white plains ny, classic car cruiser show ossining train station ossining new york. Mispelled crager mag wheels. Rockland rodders pearl river rockland county ny. Pre-owned classic car equipment sales. Get a free car & sell the car for a profit. How to get a free car in westchester. What car do you want and how much money do you need to buy your car? New york westchester automotive mechanic's specials. Ford Westchester county automobile giveaway. Westchester county new york free autos. West chester alkaline water machines. Westchester used car sale. Ford mechanic's special pre-owned car for sale. Ford westchester new york ford sale. Referral program free car giveaway through referrals. Westchester cars for sale. New york westchester free cars giveaway. New York ford taurus giveaway. Free ford New York giveaway referral program. New York Ford Taurus SEL giveaway. Westchester used cars new york. Free Ford car parts. Free Ford Taurus SES: automatic transmission free, dual air bags, driver and passenger srs restraint system, free four-wheel anti-lock power brakes (abs), free ford 3.0 liter v6 engine with electronic fuel injection (efi), free power window motors with window lock feature and express driver's down window, power door locks with child safety locks on rear doors, power steering, remote control power side mirrors, tilt wheel, free electronic cruise control, free 6 way power driver's seat, free reclining seat backs, free adjustable head restraints, remote control keyless entry, electric rear window defroster, digital clock in dashboard, interior trunk release, free programmable stereo with four speakers, free cd player with CD player and 6 disc CD changer, am/fm radio & cassette player, cup holders, coin tray, map lights, free all season radial tires, garage kept, low mileage. Free Car Offer. Automotive garage mechanic's car restoration shops. Backyard car mechanic special car free. Local pick up in westchester new york. Get it free, fix it up & sell it for a profit. Or sell the parts separately. Ford engine free Ford 3.0 liter v6 engine with efi electronic fuel injection. Free engine with low miles. 2003 Taurus Ford 3.0 Liter V6 engine. Ford engine, V6 Vulcan 3.0L engine for sale in westchester. Ford Vulcan V6 3.0 L engine for sale in new york. Free Ford automatic transmission. Free four wheel anti-lock power brakes (abs) OEM Ford. Free power window motors, Ford. Free electronic cruise control genuine Ford parts. Free 6 way power driver's seat, Ford. Free reclining seat backs, Ford. Free rear seat, Ford. Free adjustable head restraints, Ford. Free cd player am fm radio cassette. Free Ford dashboard. Free Ford hood OEM. Free Ford doors. Free Ford windshield genuine OEM part. Free Ford trunk lid. Free all season radial tires. Westchester Ford car free giveaway. Westchester Chrysler, Westchester Mazda, Westchester Toyota, Westchester Nissan, Westchester Acura, Westchester Motor, Westchester General Motors, Westchester GM, Westchester Chevy, Westchester Chevrolet, Westchester Camaro, Westchester Pontiac. Ford Westchester free car giveaway. Westchester automotive used cars. Westchester motor vehicle free car referral program. Westchester car give away. New York motor vehicle ford giveaway. Westchester free ford car giveaway. Westchester pre-owned cars. Free car Westchester ford giveaway. Westchester garage sale in White Plains. Ford taurus giveaway referral program. Get a Free Ford. White Plains mechanic's special garage sale. Free Sun automotive equipment. Westchester classic car parts, amawalk, ardsley on hudson, armonk, baldwin place, bald win, banksville, bedford, bedford hills, bedford village, bed ford, brewster, briarcliff, briar cliff, briarcliff manor, bronxville, bronx ville, buchanan, carmel, chappaqua, cold spring, cortlandt, cort landt, cortland, cort land, cortlandt manor, crestwood, crest wood, crompond, crom pond, cross county, cross river, croton, croton falls, croton-on-hudson, croton on the hudson, croton on the hudson river, crugers, dobbs ferry, eastchester, east chester, edgemont, edge mont, elmsford, elms ford, fleetwood, fleet wood, garrison, goldens bridge, granite springs, greenburgh, green burgh, greenberg, green berg, harrison, hartsdale, harts dale, hastings, hastings-on-hudson, hastings on the hudson, hastings on hudson river, hawthorne, heritage hills, historic hudson river towns, hudson river towns, rivertowns, river towns, hudson river valley towns, irvington, irving ton, jefferson valley, katonah, kensico, lake mohegan, larchmont, larch mont, largemont, large mont, lewisboro, lewis boro, lewisburrow, lewis burrow, lincolndale, lincoln dale, mahopac, malibu, mamaroneck, millwood, mill wood, mohegan lake, montrose, mount kisco, mt kisco, mount pleasant, mt pleasant, mount vernon, mt vernon, new castle, new rochelle, new york, north castle, north salem, ossining, peekskill, pelham, pelham manor, pleasantville, pleasant ville, pocantico hills, port chester, pound ridge, purchase, purdys, rye, rye brook, scarborough, scarsdale, scotts corners, shenorock, shrub oak, silver lake, sleepy hollow, somers, south salem, tarry town, tarrytown, thornwood, thorn wood, tuckahoe, valhalla, val halla, verplanck, waccabuc, west harrison, whitehall corners, white plains, yonkers, york town, yorktown, yorktown heights, westchester, west chester, westchester county, westchester county ny, upper westchester, lower westchester, classifieds lohudson westchester garage automotive equipment. North white plains ny, white plains ny, greenwich, connecticut, grenwitch, dutchess county, orange county, putnam county, rockland county, rock land. Free motor vehicle bronx free car giveaway. The bronx, manhattan, new york, ny, new york city, nyc, long island city. Classic car club events in Westchester. Weekly car shows in Westchester. By Barnes & Nobles Eastchester Scarsdale. Moonlight Cruisers, Eastchester New York. Classic car events, Westchester. Moonlight Cruisers, Scarsdale New York. Shift Masters cruise nights, Rye Brook NY Westchester. Gramatan Ave Mount Vernon car show. New Rochelle chevrolet car & bike show. Fleetwood Mount Vernon car show. Auto mechanic's special. Ford giveaway fix & sell. Westchester garage sale in Scarsdale. Ford taurus giveaway referral program. Get a Free Ford. Scarsdale mechanic's special garage sale. Eastchester & Scarsdale ford car giveaway offer. Scarsdale ford taurus giveaway. Free ford Scarsdale giveaway referral program. Scarsdale Ford Taurus SEL giveaway. Free Sun automotive equipment. Free Ford taurus giveaway offer near me. Kangen Classic Car Giveaway. Vintage Snapon equipment for sale. Westchester ford free car giveaway. Kangen water ® appliance free with referrals. Make extra money to buy your car. Make extra money to lease your car. Ford free engine V6 Vulcan. Westchester ford vehicle free giveaway. Hydrogen rich water fuel cell technology water ionization machines. Free kangen alkaline water machine referral program. Hydrogen water ionization alkaline water ionizer generators. H2 water state-of-the-art technology. Antioxidant water generators. Molecular hydrogen water generating devices. Kangen antioxidant hydrogen water generators. Westchester kangen dealership opportunities. New york car referral program westchester. Kangen classic cars & classic car equipment. Kangen alkaline water distributorships nationwide income opportunities. Start a dealership with no inventory. Alabama classic cars. Alaska classic cars. Arizona classic cars. Arkansas classic cars. California classic cars. Colorado classic cars. Connecticut classic car parts, Delaware classic cars. District of Columbia classic cars. Washington DC classic cars. Florida classic car parts, Georgia classic cars classic cars. Hawaii classic cars. Idaho classic cars. Illinois classic cars. Indiana classic cars. Iowa classic cars. Kansas classic cars. Kentucky classic cars. Louisiana classic cars. Maine classic cars. Maryland classic cars. Massachusetts classic cars. Michigan classic cars. Minnesota classic cars. Mississippi classic cars. Missouri classic cars. Montana classic cars. Nebraska classic cars. Nevada classic cars. New Hampshire classic cars. New Jersey classic cars. New Mexico classic cars. New York classic cars. NY City classic cars free giveaway. Manhattan classic cars. North Carolina classic cars. North Dakota classic cars. Ohio classic cars. Oklahoma classic cars. Oregon classic cars. Pennsylvania classic cars. Rhode Island classic cars. South Carolina classic cars. South Dakota classic cars. Tennessee classic cars. Texas classic cars. Utah classic cars. Vermont classic cars. Virginia classic cars. Washington classic cars. West Virginia classic cars. Wisconsin classic cars. Wyoming classic cars. Classic cars motown oldies but goodies. Motor town Detroit motor city. Motown cars Michigan plant closings. GM layoffs Michigan plant shutdowns. Michigan automaker plant closings. Michigan automotive industry lays off auto workers. We're hiring. General Motors cutting factory jobs. GM Michigan manufacturing plant & GM Ohio manufacturing plant layoffs. Michigan auto supplier layoffs. We have employment for laid off workers nationwide. Ford cuts shifts in Kentucky and Michigan factories. More layoffs at a Ford Motor Company factory in Michigan. Jobs for laid off auto workers. High paying work without a college degree. Be your own boss business opportunities. Kangen network marketing franchise opportunities. Michigan best paying careers that don't require a four year college degree. High paying kangen jobs without a degree. Highest paying network marketing jobs without college degrees. Refer friends & family to earn money for your favorite car lease. Refer friends & family & get paid for referrals. Kangen work from home startup kits & working from home small business opportunities. New York Ford free car giveaway. Free automobile referrals car giveaway program. Ford westchester free car giveaway programs. Westchester ny classic car parts referral programs. Westchester best offer hudson valley auto parts classifieds ads. Westchester County dealers, White Plains dealers, New Rochelle distributors. Westchester free auto parts. Classifieds Westchester auto parts. Free car parts referral program. Bronx auto parts. Free car offer. Best referral programs to make money from home. Do you need money to buy a house and pay your mortgage? Do you need money to buy a car? Earn Money to Lease or Rent a Car to Drive for Uber or Lyft. Attention Uber Westchester New York Drivers & Uber entrepreneurs looking for a car. Need money for an Uber car? Do you need a car to drive for Uber? Earn money to lease an Uber car to drive for Uber. Earn extra money to rent a car to drive for Uber. Lyft entrepreneurs looking for a car. Need money for a Lyft car? Do you need a car to drive for Lyft? Earn money to lease a Lyft car to drive for Lyft. Earn extra money to rent a car to drive for Lyft. Ctek automotive equipment. Ctek automotive parts. Ctek equipment. Computertek opportunities. Westchester ford free car giveaway. Westchester free ford car giveaway. Free snapon automotive diagnostic equipment. Sun scope engine analyzer. Vintage Sun engine analyzer for sale. Sun engine analyzer parts. Allen engine analyzer for sale. Sun diagnostic machine for sale. Vintage car garage equipment. Snapon Sun car diagnostic tools & software. Sun automotive equipment. Sun Engine Analyzer. Sun Motor Tester. Sun Distributor Tester. SUN Electric user manuals, Sun diagnostic instructions. Sun Volt Ampere Tester carbon plates, Sun VAT 28, Sun VAT-33, Sun VAT 40, Sun VAT-60 Battery & Alternator Tester. Sun Tach/Dwell Tester . Sun Battery & Starter Tester. Sun Battery Charger. Sun diagnostic machine for sale. Sun automotive test equipment manuals. Sun tester vintage SUN Equipment. Sun engine analyzer sale. SUN Electric instructions, user manuals. Sun engine analyzer parts. Sun tune up tester for sale. Vintage Sun engine analyzer for sale. Sun electric corporation parts. Westchester ford free car giveaway. Free snapon automotive diagnostic equipment. Sun westchester motor cars. Westchester motorcar collector. White Plains ford giveaway. Westchester car collectors. Sun westchester motor cars. How to be a dealer with no inventory. Sun westchester motorcars. Start a dealership business opportunity. How to start a dealership without inventory. Connecticut classic car Sun testers. Westchester motorcars. California vintage car collectors. Special rebate offer. Get a rebate through our simple referral program. Financial independence opportunities. Earn extra money to pay your vehicle lease. Generate an additional income stream. Earn income from referrals. Do you keep your business options open?Ask about our unique business opportunity. Sun engine analyzer. Rims, mag wheels, tires. Automotive equipment & diagnostic tools. Automotive literature. Diagnostic computer printers. Car repair manuals. OEM Free Ford 3.0 liter v6 engine with electronic fuel injection. Free car giveaway. Sun MCA 3000 test link program software diskettes. Modular Computer Analyzer MCA-3000 Sun Electric Snapon engine tester parts. SUN service manuals. SUN automotive instruction manuals. Snapon SUN operating instructions & manuals. Snapon SUN Electric manuals. Free Sun electric automotive tools & equipment. Free Ford taurus giveaway offer near me. Kangen Classic vehicle Sun equipment sale. Sun Snap on equipment sale. Kangen water® business in a box opportunity franchises. Refer friends and make money to lease your favorite car. Tesla in your garage? Kangen in your kitchen! Charge your Tesla, charge your tap water with powerful antioxidants of hydrogen-rich water. How about a Tesla electric car? Free Ford offers & incentives. Refer a friend and get paid for each referral. Earn extra money for leasing cars. Earn extra money for buying cars. Start a dealership without inventory. All products are shipped from the manufacturer. Kangen westchester car free customer referral program. Lisa Car! Westchester automotive car giveaway. Lease a car with our referral program. New York lisa ford westchester automotive used cars. Get a brand new car with our referral program. Westchester street rod car shows. Alkaline water kangen opportunity. How to afford a Tesla electric car with kangen network marketing income opportunities. Earn money to buy a Tesla electric car, hybrid electric car or gas powered car. Become a dealer without inventory. Make extra money selling products from home. Electronic charging stations produce fresh kangen alkaline water on demand. Electronic ionized water hydrogen-rich charging stations for the home kitchen. How to afford an alkaline water machine or how to get one free. How to afford a Tesla car. How to afford a hybrid electric car. Tesla TSLA owners best investment opportunity with kangen water® machines. Hybrid electric car owners, Tesla car owners get home charging stations for alkaline water. Go Green hydrogen water machines. Kangen alkaline molecular hydrogen rich water generators. Go Green machines. Electrolysis similar to fuel cell technology. Best investment in kitchen appliances. The next best thing in alkaline water technology. BOGO buy one get one free opportunity! Make money selling hydrogen water superchargers. Tesla electric car owners buy cars with money from selling kangen hydrogen rich water chargers. Put a Tesla in your garage and a kangen in your kitchen! Supercharge your tap water! Drink kangen supercharged antioxidant water. Make money to buy your dream car with kangen network marketing BOGO opportunity! By one get one free opportunity to make money promoting electrolyzed hydrogen rich water generators. Start a dealership today & make money to buy a car, build your classic car collection or vintage car garage. Put a kangen generator in your garage! Hydrogen rich water money faucet dealerships. Share the product, earn the money. Molecular hydrogen alkaline water generators. Westchester Tesla motor car chargers & Tesla supercharger locations in westchester. Electric car owners, special offers for hybrid car owners, special offers for Tesla owners. Go Green, put an alkaline water supercharger antioxidant water machine in your kitchen! Do you have garage chargers for electric cars? Then get water chargers for your electric body! Get electrolyzed hydrogen-rich water kangen generators. Special offers for gas powered car owners. Westchester Tesla car owners. Recharge your batteries, recharge your body with kangen electrolyzed alkaline water generators. Sing the body electric, charge your body with natural antioxidants & hydrogen rich alkaline water. Recharge your electric car batteries and recharge your body with kangen antioxidant supercharger machines. Charge your body with electrolyzed water on demand! Kangen sings the body electrical system after just one glass of fresh hydrogen-rich water! Change your body, charge your body's electrical system with antioxidant kangen water ®. Fuel your car, fuel your body. Free car giveaway, westchester ford car giveaway, Westchester automotive equipment for sale. Westchester free ford giveaway. Fre used auto body parts, recycled car parts for auto body shops. Free ford giveaway. Pre-owned vehicles. Used vehicles. Genuine OEM auto parts. Pleasantville ford taurus giveaway. Ford westchester car sale. White Plains, Eastchester, Scarsdale ford free car offer. Westchester Chevrolet parts for sale. Westchester Honda parts. Westchester General Motors parts & automotive equipment. Penny saving classified ads amawalk garage sales, armonk garage sales, baldwin place garage sales, bald win garage sales, banksville garage sales, bedford garage sales, bedford hills garage sales, bedford village garage sales, bed ford garage sales, brewster garage sales, briarcliff garage sales, briar cliff garage sales, briarcliff manor garage sales, bronxville garage sales, bronx ville garage sales, buchanan garage sales, carmel garage sales, chappaqua garage sales, cold spring garage sale garage sales, cortlandt garage sales, cort landt garage sales, cortland garage sales, cort land garage sales, cortlandt manor garage sales, crestwood garage sales, crest wood garage sales, crompond garage sales, crom pond garage sales, cross county garage sales, cross river garage sales, croton garage sales, croton falls garage sales, croton-on-hudson garage sales, croton on the hudson garage sales, croton on the hudson river garage sales, crugers garage sales, dobbs ferry garage sales, eastchester garage sales, east chester garage sales, edgemont garage sales, edge mont garage sales, elmsford garage sales, elms ford garage sales, fleetwood garage sales, fleet wood garage sales, garrison garage sales, goldens bridge garage sales, granite springs garage sales, greenburgh garage sales, green burgh garage sales, greenberg garage sales, green berg garage sales, harrison garage sales, hartsdale garage sales, harts dale garage sales, hastings garage sales, hastings-on-hudson garage sales, hastings on the hudson garage sales, hastings on hudson river garage sales, hawthorne garage sales, herigaragee hills garage sales, historic hudson river towns garage sales, hudson river towns garage sales, rivertowns garage sales, river towns garage sales, hudson river valley towns garage sales, ardsley on hudson garage sales, irvington garage sales, irving ton garage sales, jefferson valley garage sales, katonah garage sales, kensico garage sales, lake mohegan garage sales, larchmont garage sales, larch mont garage sales, largemont garage sales, large mont garage sales, lewisboro garage sales, lewis boro garage sales, lewisburrow garage sales, lewis burrow garage sales, lincolndale garage sales, lincoln dale garage sales, mahopac garage sales, malibu garage sales, mamaroneck garage sales, millwood garage sales, mill wood garage sales, mohegan lake garage sales, montrose garage sales, mount kisco garage sales, mount kisco free ford giveaway, mt kisco garage sales, mount pleasant garage sales, mt pleasant garage sales, mount vernon garage sales, mt vernon garage sales, new castle garage sales, new rochelle garage sales, new york garage sales, north castle garage sales, north salem garage sales, ossining garage sales, peekskill garage sales, pelham garage sales, pelham manor garage sales, pleasantville garage sales, pleasant ville garage sales, pleasantville free ford giveaway, pocantico hills garage sales, port chester garage sales, pound ridge garage sales, purchase garage sales, purdys garage sales, rye garage sales, rye free ford giveaway, rye brook garage sales, scarborough garage sales, scarsdale garage sales, scarsdale free ford giveaway, scotts corners garage sales, shenorock garage sales, shrub oak garage sales, silver lake garage sales, sleepy hollow garage sales, somers garage sales, south salem garage sales, tarry town garage sales, tarrytown garage sales, thornwood garage sales, thorn wood garage sales, tuckahoe garage sales, valhalla garage sales, val halla garage sales, verplanck garage sales, waccabuc garage sales, west harrison garage sales, whitehall corners garage sales, white plains garage sales, yonkers garage sales, york town garage sales, yorktown garage sales, yorktown heights garage sales, westchester garage sales, west chester garage sales, new york westchester county garage sales, westchester county ny garage sales, upper westchester garage sales, lower westchester garage sales, north white plains ny garage sales, white plains ny garage sales, new york. West chester classic car equipment for sale. Kangen equipment sale. Sun Snapon parts. Snap on sun diagnostic testers & vintage Sun Electric tools and sun testers for sale. Sun automotive shop equipment. Westchester automotive equipment for sale. Classic car parts for sale in west chester. Ford taurus giveaway free offers near me. Cars & trucks Classic Muscle car equipment. Free Sun Master Two analyzer. Sun motor tester classic car collector item. Free Sun Tester diagnostic engine analyzer. Sun motor tester collector's item. Sun automotive engine analyzer & diagnostic tester, with oscilloscope, Sun volt meter, Sun dwell meter, Sun engine shorting switches for vintage cars. Vintage test equipment collector car equipment. Free Sun automotive equipment & automotive tools. Vintage engine analyzers. Vintage Sun motor testers. Vintage classic Sun tune up tester. Free Sun computer analyzer. Sun Master 2 analyzer with sun scope. Original service manuals. Sun Electric computer analyzer diagnostic scope. Sun master 2 manual. OEM Free Sun engine computer analyzer. Sun automotive shop equipment. Westchester giveaway free Ford. Scarsdale referral program to get a free car. Refer a friend and get paid for referrals. Free Ford incentives and offers. Car referrals Free car Ford Pleasantville car referral giveaway. Free car Ford Yonkers car referral giveaway. Free car Ford Scarsdale car referral giveaway. Free Ford Eastchester car giveaway referral programs. Free car Ford Rye car referral giveaway. Free car Ford Rockland car referral giveaway. Free car Ford White Plains car referral giveaway. Free car Ford Westchester car referral giveaway. Free car Ford Bronx car referral giveaway. Free car Ford Manhattan car referral money to buy a car. Free car Ford Long Island car referral money to buy a car. According to Ford Motor Company's CEO Jim Hackett, Ford is not making sedans in the USA. Ford cuts 20,000 jobs. We're hiring distributors. Ford cancels production of Ford Mondeo, Ford Fusion & more vehicles may get cancelled like the Ford Fiesta & Ford Focus. Earn money to buy a car through our referral program. According to Ford Motor Company's CEO Jim Hackett, Ford will cancel sedan production in the USA. Ford cuts 20,000 jobs. We're hiring distributors nationwide. Ford cancels production of Ford Mondeo, Ford Fusion & more vehicles may get cancelled like the Ford Fiesta & Ford Focus. CEO Jim Hackett Ford Motor Co. Ford alliance with Volkswagen AG to develop autonomous vehicles, electric cars, trucks & vans. Ford is stopping production of sedans in the U.S. for SUVs, redesigned Ranger, Explorer, Ford SUVs, trucks & developing Ford electric and Ford self-driving vehicles. Ford restructuring could result in 25,000 job cuts. Hiring kangen independent distributors. Kangen startup kits & working from home business opportunities. Get a kangen starter kit. Bloomberg news reports possibly 25,000 Ford jobs cut as Ford restructures for Ford electric cars, Ford hybrid cars, Ford autonomous vehicles, Ford trucks & Ford SUVs as Ford Motor Co plans to discontinue manufacturing cars. What is Jim Hackett thinking? Very bad move Ford Motor Company CEO not making cars anymore! Westchester earn $100 for referrals. Free income from home programs. Tell your friends & family. Earn up to $ dollars per referral income. Leveraged money for nothing and your paychecks for free kangen referrals. Westchester referral programs. Alkaline water kangen free referral system. Earn $100 with referrals. Make money with simple referrals. Earn up to $100 dollars for referrals! Who do you know & who do they know six degrees of separation referral program. Earn more money for something & get checks for free referral programs & income opportunities. Sun westchester street rod events. Get a brand new car with our referral program. Westchester street rod car events. Sun westchester automotive car sales.Westchester street rod car shows. Westchester street rod car shows. Westchester automotive car giveaway. Sun Westchester street rod classic garage equipment. Sun Westchester street rod car garage equipment. Get a new car with our income referral program. Sun westchester street rod events. New york westchester automotive car giveaway. Sun westchester street rod shows. Sun westchester automotive car sales. Westchester automotive new car sales. Westchester hot rod classic autos. Automotive referral programs in Scarsdale. Westchester automotive used cars. Westchester street rod car shows. Westchester free automotive giveaway. Westchester automotive Ford vehicle sales. Sun printed circuit boards. Sun electronic meters. Testing equipment, diagnostic machines & automotive parts. Sun classic car tools. Automotive sun electric testing equipment. Earn a second income without a college degree. Make a second income with no second job. Start a kangen dealership with no inventory & nothing to stock. Make extra income for your business distributing kangen water® machines to customers. Sell alkaline water machines to your customers & earn multiple streams of income. Kangen water ® dealership business sponsors. Customize your classic car, customize your drinking water. Charge your electric car charge your tap water with kangen water ® charging machines. Supercharge your car supercharge your tap water with powerful anti-oxidants. Feel the power of kangen alkaline water! Delicious kangen alkaline water tastes refreshing. Kangen beauty water is relaxing too! Try kangen free! Buy kangen now! Delicious kangen water ® free supply for local residents. Buy kangen water ® & feel the power of hydrogen-rich water in your body. The next big thing in kitchen appliances. The next gotta have it kitchen appliance. Kangen high-tech alkaline water machines. Put a Tesla in the garage, kangen in the kitchen. Do you keep your business options open? Get a free kangen business opportunity in a box! Make money to buy a car. Earn money to pay your car lease payments. Generate additional income streams. Financial independence opportunities. Cambia tu agua, cambia tu vida®. Opportunity of a lifetime. La oportunidad de toda una vida. Earn income from referrals. Change your water change your finances & change your life. Get financial freedom now! Get the dream car you always wanted. Make money to buy your dream car with our financial independence opportunity. Live the dream of your lifetime.